Old-fashioned corrugated iron roofs are distinctly Australian and have been the stuff of folklore. We associate them with shearing sheds, water tanks, outdoor dunnies, and of course, the quintessentially iconic home, the Queenslander. These days, modern metal roofs are the roof-of-choice for many of this country’s property owners, because they’re flexible, lightweight, and generally cheaper to install and maintain than clay, asphalt, and cement tile roofs. And compared to other roofing materials, metal roofing can also be installed quickly, usher away rainwater swiftly, and they’re the perfect roofing systems for homes built on a slope. Unfortunately, metal roofs are also very susceptible to rust – it’s their biggest enemy! Metal roofs more than 15 years old will certainly show the negative effects of corrosion which can be extremely damaging to an entire home, and even modern-day roofing can show signs of wear and tear after a few years. But how do you deal with rust on your roof? Why does rust develop and what damage can it do? 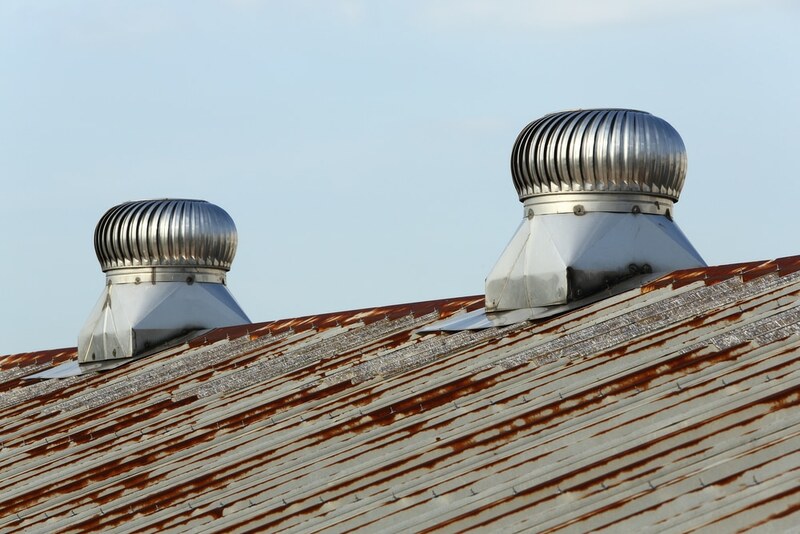 Roof rust and corrosion occur when metal roofing comes into contact with moisture in the air causing a chemical reaction. The longer the metal is exposed to moisture, the faster corrosion and rust will spread. Most metal roofs these days are treated with protectants (or galvanised), which is a process of applying a protective zinc coating to iron or steel, however even if they’re outfitted with high-quality steel products, metal roofs can still exhibit signs of damage as the years pass and the material endures normal wear and tear out in the open. Over time and if exposed to harsh weather and environmental conditions, even treated roofs can wear down and corrosion can start to develop. Metal roofs on homes that are in coastal or high-rainfall areas are particularly prone to rust. If left long enough, rust will eventually make its way through some metal roofs leaving holes that are large enough for rain to seep through into the roofing cavity, and even into the walls and the basic structure of the home. This can severely compromise the integrity of a dwelling and leave it irreparably water damaged. How can I avoid rust developing? In order to avoid rust on your roof, ongoing maintenance should be a priority, which involves rinsing your metal roof down with a diluted solution of kitchen detergent mixed with water in order to prevent corrosion from setting in. This should be applied with a soft nylon bristle broom, and thoroughly rinsed off afterwards. Never use harsh chemicals or abrasive tools to clean your roof as these can scratch off the very layers that are there to protect it! Probably the biggest concern with roof maintenance is the risk of individuals working at heights, so only attempt this yourself if it can be done safely. Your best bet? Contact one of the professionals at Strongguard who can make sure the job is done for you – efficiently, effectively and safely! What should I do if I notice rust? If you notice spots or stains due to swarf deposits, you should brush your roof with a stiff bristled brush (not steel wool) to dislodge the particles, and then wash your roof with a mild detergent mixed with water. Rinse thoroughly! If you notice minor scratches on your roof, the experts recommend that you refrain from performing any touch-ups yourself, particularly if they’re not visible from the street. This is because the colour durability of touch-up paint is often different from many modern-day steel roofs, so in a short period of time the colour will look different anyway. If the damage to your roof is more substantial, you should contact a roof restoration expert like us! When else should I contact the professionals? If you need a major roof repair, or your steel roof is quite old and the corrosion is quite widespread, then it will be difficult and dangerous to remove yourself. Time to call in the experts! The roof restoration professionals here at Strongguard will inspect your roof, educate you on our restoration services, and if your old roof is riddled with rust or is leaking, then they will probably recommend that you replace it (and of course they can offer advice on that). What are the benefits of choosing a BlueScope Steel roof? When you purchase roofing from a trusted BlueScope Steel supplier like Strongguard, you are not only making an important investment in the structural integrity of your property, you are assured of being provided with the highest quality metal roofing products. The BlueScope Steel range is designed to be durable and aesthetically appealing, and it can hold its own in some of Australia’s toughest weather conditions! Here at Strongguard, we are also proud of the strong relationships we have built with our partners, Colorbond® and Zincalume. Colorbond® steel has been tried and tested to our country’s unique conditions, and offers outstanding, long-life performance, five layers of corrosion resistant coating, and thermal efficiency for year-round comfort. Our Zincalume® steel products are some of the toughest in the country, and with the introduction of their Activate technology in 2013, can guarantee your roof will remain attractive and durable … for a lifetime. Worried about the signs of rust on your roof? 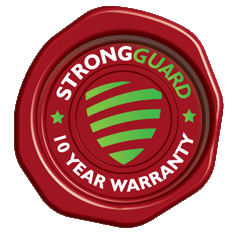 Contact the experts at Strongguard today on (07) 3623 4422.